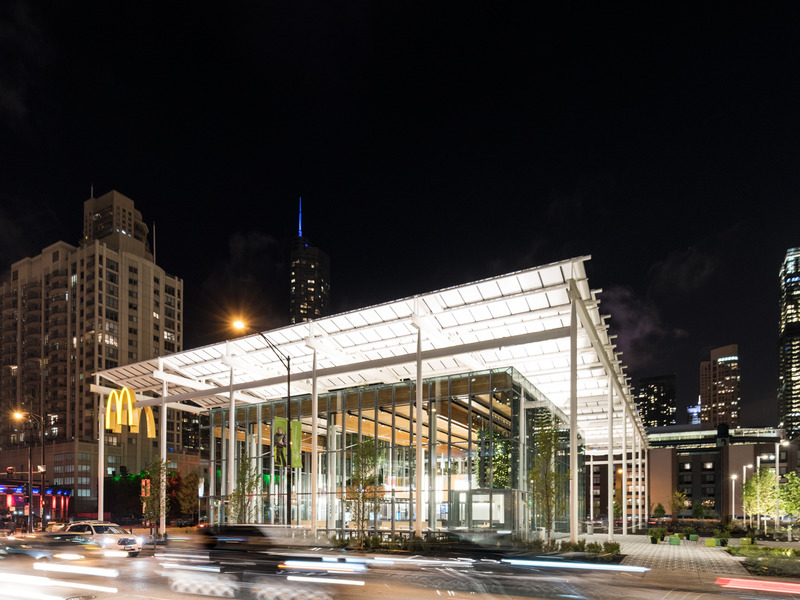 McDonald’s opened a new flagship store in Chicago that looks more like an Apple Store than a fast-food restaurant. The restaurant features table service, ordering kiosks, and more than 70 trees at the ground level. 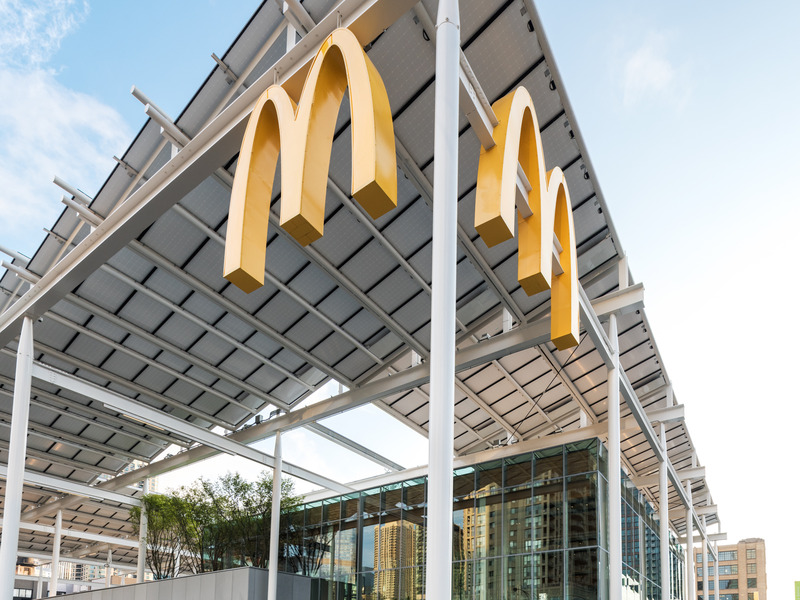 While not every McDonald’s will look like the Chicago megastore, the flagship restaurant reveals some major clues about the future of the fast-food chain. McDonald’s newest restaurant is making a bold statement about the future of the chain. On Thursday, McDonald’s opened a new flagship restaurant in Chicago. It’s a glassy, 19,000-square-foot building that looks more like an Apple Store than a fast-food restaurant – and that’s exactly what the company intended. 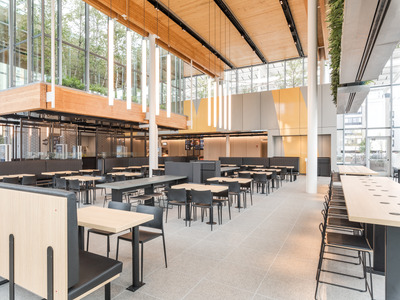 “We are proud to open the doors to this flagship restaurant, which symbolises how we are building a better McDonald’s for our customers and the communities where they live,” McDonald’s President and CEO Steve Easterbrook said in a statement. While the structure may be different, the Golden Arches are still present at the restaurant, which will be open 24 hours a day, seven days a week. 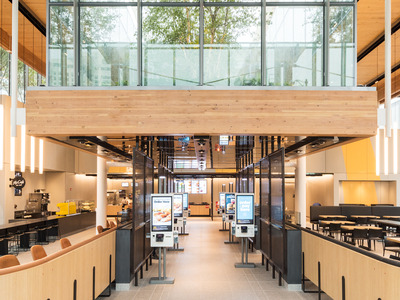 The restaurant features self-order kiosks, table service, mobile order and pay, and delivery — services that are becoming increasingly mainstream at McDonald’s locations across the US. 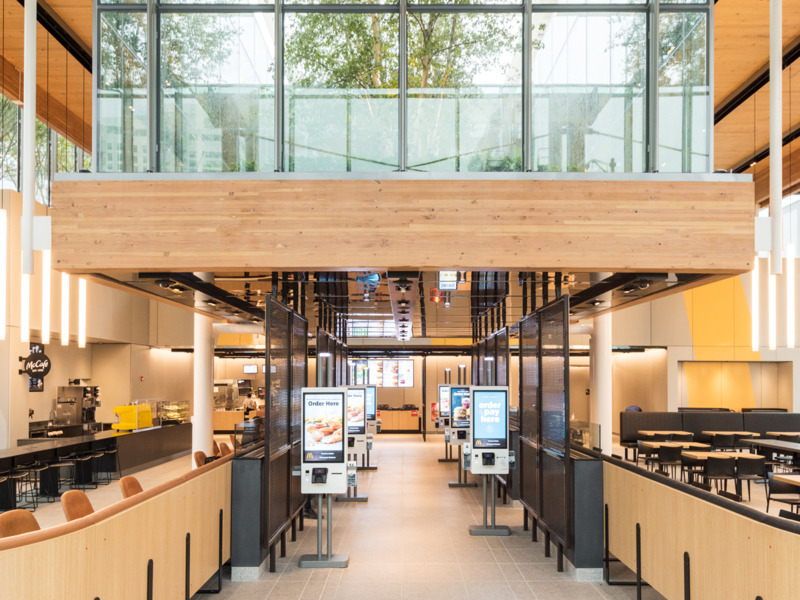 Table service and increased digital ordering options are part of McDonald’s “Experience of the Future” revamp. Currently, roughly 5,000 restaurants fit the qualifications, and McDonald’s plans to transform almost all restaurants by 2020. The restaurant also highlights something else McDonald’s is pushing in an effort to remake its image: sustainability. 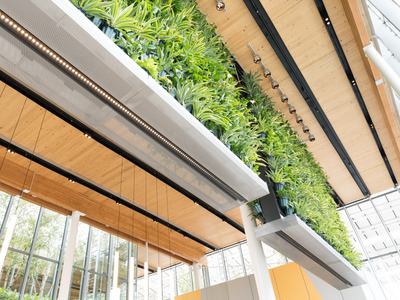 It has more than 70 trees at the ground level, as well as on-site solar panels. The restaurant was designed by the Chicago-based firm Ross Barney Architects. While not every McDonald’s is going to look quite so classy and glassy, the combination of more tech, table service, and an emphasis on sustainability provides a blueprint of what the fast-food giant wants to roll out across America.